To celebrate their 30th anniversary, the Russian Travel Centre has released several small group departures to a number of exciting and unique destinations. These are the Russian Travel Centre's own tailor-made tours, specifically designed for discerning travellers who are seeking something special, from a long-established, well-respected tour operator. The minimum group number is 2 and maximum 15. Departures of all tours are guaranteed. 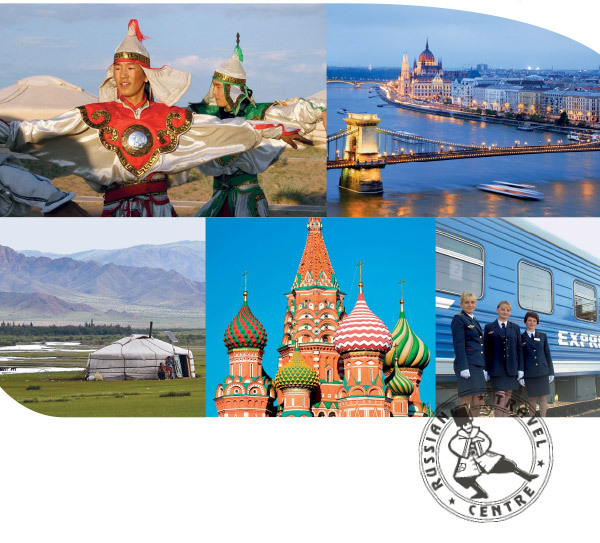 Since 1987, Eastern Europe Travel/Russian Travel Centre has been a specialist and innovator in organising travel through Russia and neighbouring countries, and is still pioneering new experiences to this fascinating region. This highly experienced and knowledgeable travel company brings you the most comprehensive range of travel options for Russia, the Baltics, Scandinavia, Central Asia, Mongolia and Uzbekistan – and the ever popular Trans-Siberian rail journey. Programs cover all styles – independent travellers seeking maximum flexibility, semi-independent tours and fully escorted, fixed departure tours by rail or coach. Featured hotels are personally inspected in Moscow, St. Petersburg and even along the Trans-Mongolian rail journey, to ensure information is accurate and up-to-date. A specialised team of friendly consultants regularly travels to these destinations and continues to offer you in-depth knowledge. Take advantage of Russia Travel Centre's expertise to organise a holiday of a lifetime for you to these amazing destinations. People who ordered Exclusive Small Group Tours also ordered the free travel brochures below. Click on the images to find out more about these brochures.